After the unboxing in part 1, here comes the part 2 of getting it connected. Before proceed further, get ready with a laptop (or two for testing purpose) with network port (preferably gigabit) and a pair of good network cables would be helpful in later part. If you follow this part you will be able to get this L3 switch up and running like any other L2 switches. I will not cover advanced configuration in this post, that should come in future posts. 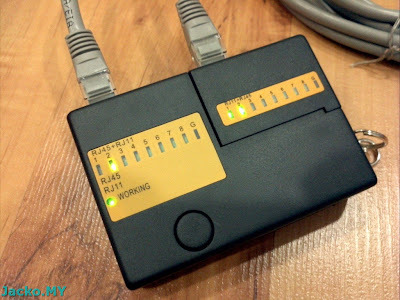 I usually don't rush to connect new device into the home network until I have configured necessary basic setting ensuring its "adaptability" to the existing network. 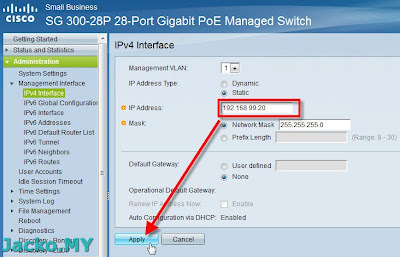 For instance, the SG300 comes with IP 192.168.1.254 and is set to accept DHCP upon its first connection. 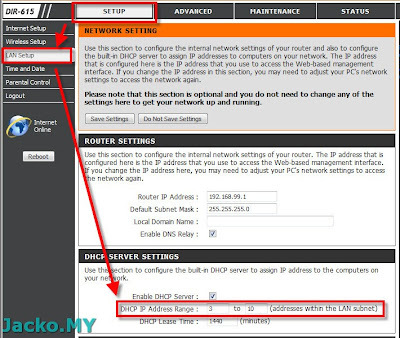 If you plug it into your home network and typically you have DHCP server (usually your router) in the network, the IP of SG300 will be updated by the DHCP server. As a result, you might have difficulty identifying its new IP if you are novice in networking. So? I recommend to get started with it standalone till it's configured with basic setting. 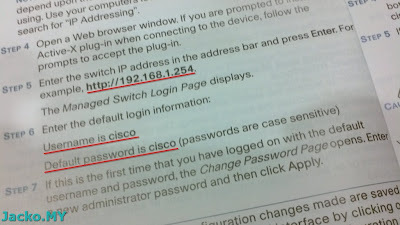 Unlike the other brands that typically comes with username admin and password admin, this is the standard default ID and password for Cisco devices. 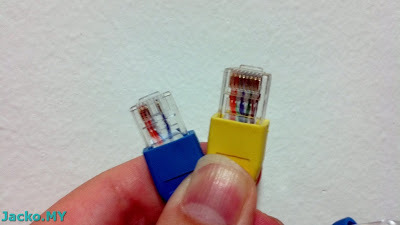 Some cables might only has 2 pairs of coppers (the blue cable) instead of 4 (the yellow). You must have 4 pairs to get gigabit speed. All LED will light up as shown above during boot up. The switch should be ready in less than 2 minutes (I clocked a minute 12 seconds). 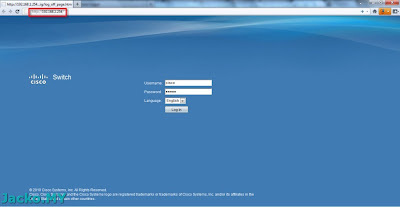 Type cisco in the Username and Password and click Login. 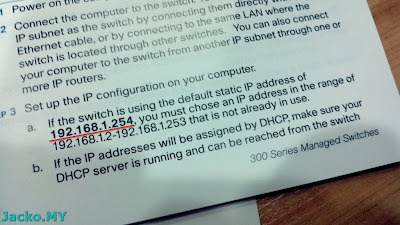 The DHCP range shown above is 192.168.99.3 to 192.168.99.10 (router IP 192.168.99.1), so it's safe to assign 192.168.99.20 to SG300 as it is not within the DHCP range. Once you're done, click Apply. 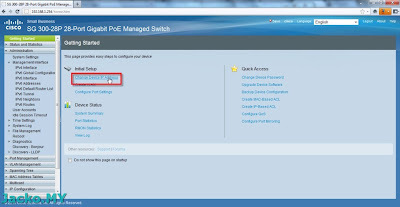 Since you manually assigned the IP to your lappy in earlier step (192.168.1.99), you will not be automatically directed to the new switch IP. 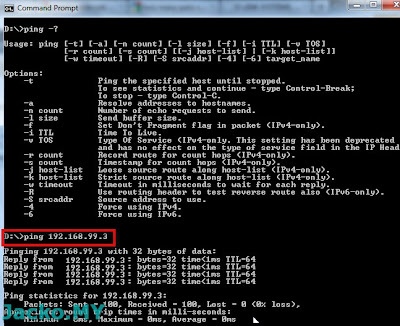 Go back to the TCP/IP Properties and change your lappy IP to the same network with switch, 192.168.99.x where x is any unused number within 1 to 254. Click Save, make sure the source file is "running configuration" and the target/destination file is "startup configuration". Click Apply and OK. You're now done. Now the switch is ready to replace your existing switch. 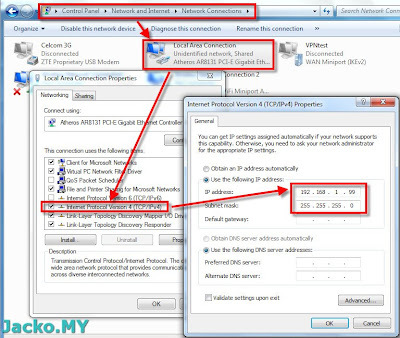 Depending on your setup and if you're on Unifi, just plug a network cable to one of the 3 network ports of the Dlink wifi router and the other end to any of the ports on SG300. 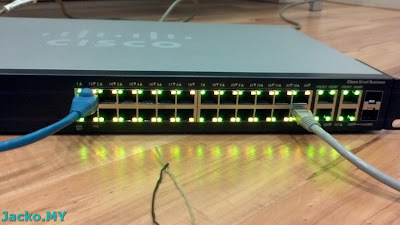 Finally plug all network equipment into the switch and it should run flawlessly. Open a command prompt, and type the command as above. If you get the same result like above (Reply from ... ... ...), you're all good. 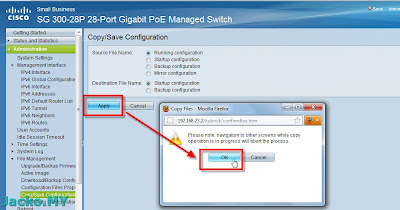 Plug the device to another port and repeat the same for the remaining physical ports. Next (till I have time to configure and blog), perhaps to configure the switch to the desired network design.